The Bristol Beaufighter entered service with the Royal Air Force as a two-seat fighter in August 1940 and it was to be one of the most significant aircraft of World War II. Its main role initially was as a night-fighter as it had the power to catch enemy bombers, had internal space for an Air Intercept radar and was armed with four machine guns in the nose. 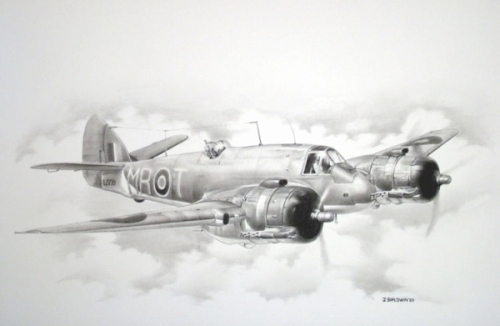 The Beaufighter made its first operational patrol on the night of 17 September 1940 with number 29 Squadron. The aircraft was also used to great success by the RAF Coastal Command and was fitted to carry torpedoes. The airfix kit was a favourite for young aircraft model makers! Finally, in the Far East the Beaufighter was nicknamed by the Japanese as 'Whispering Death' because its Hercules engines were so quiet.